the camera sports a 12.1MP high sensitivity CMOS sensor, a 28mm wide angle F2.0-5.9 Leica lens with 7.1x optical zoom, an 0.2" EVF with 200K-dot resolution, an exposure mode dial, a control ring for manual adjustment of aperture, shutter speed and zoom, a 3" 920K LCD screen, full HD 1920x1080 50i video recording mode, and Wi-Fi connectivity that supports Near Field Communication. 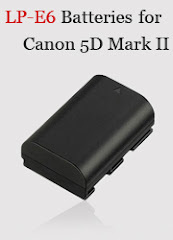 No information about the camera's availability has been disclosed yet. According to different sources, the camera's suggested retail price is set to around $450. The new LUMIX DMC-LF1, the latest addition to our high-end compact range, is perfect for enthusiasts looking for the very best in imaging, editing and design. The camera provides unrivalled versatility, with impressive wide angle and zoom range to suit a variety of shooting scenarios. It also boasts a 12.1-megapixel MOS sensor and high ISO sensitivity for outstanding performance in low-light, as well as a host of other functions. The LUMIX DMC-LF1 gives you complete control of your photography and, with Wi-Fi and NFC connectivity, lets you share images and video instantly. Panasonic’s advanced optical technology has made it possible to fit a 28mm-200mm high performance lens into the LUMIX DMC-LF1’s lightweight and beautifully designed compact body. The new F2.0 LEICA DC VARIO-SUMMICRON lens will offer amazing image quality, even when you find yourself in low-light conditions. The high influx of light allows for faster shutter speeds, ensuring stunning, blur-free images. Similarly, the lens’ F2.0 aperture makes capturing professional looking photos with shallow depth of field and beautiful, warm backgrounds easier than ever before. The new LEICA lens also offers outstanding range in terms of width and zoom. A 28-200mm wide angled lens with 7.1x optical zoom is designed to help you take perfect shots in a variety of shooting situations. From panoramic photos of rolling landscapes to intricate portrait shots, the LUMIX DMC-LF1 offers consistently outstanding image quality and performance. With the LUMIX DMC-LF1’s new LEICA lens and a 12.1-megapixel High Sensitivity MOS Sensor, you can take advantage of a wonderfully wide dynamic range of 80 – 12800. Even when your composition includes a strong contrast of light and dark, the LUMIX DMC-LF1 is capable of taking high resolution images with stunning clarity. The camera’s Venus Engine further enhances performance and image quality, thanks to the very latest Panasonic Noise Reduction and Edge Smoothing systems. No matter what time of day or night, the camera will minimise distortion and noise guaranteeing beautiful, true-to-life pictures. The LUMIX DMC-LF1’s impressive image quality is not limited to still photography. Despite its compact size, it is also capable of capturing beautiful, full HD 1920x1080 50i video recording, in both AVCHD Progressive and MP4 outputs. The LUMIX DMC-LF1 has been designed to provide you with complete control over your photography, wherever you find that once-in-a-lifetime shot and whatever the conditions. By framing and aligning subjects with the most suitable pattern from a new composition guide consisting of Rule of Thirds Offset, Diagonal Lines, Tunnel, Radiation 1, Radiation 2 and S-Shape, images will be perfectly composed for stunning perspective and refined results. A new 0.2-inch electronic viewfinder, in addition to the 3-inch LCD display, means you can choose a shooting configuration that perfectly suits your style. Similarly, a Control Ring at the base of the lens barrel makes it easy to manually control aperture, shutter speed and zoom with minimal movement, allowing you concentrate on your target and set up the camera for that perfect picture. The LUMIX DMC-LF1 also lets you add your own creative touches both before and after you’ve pressed the shutter. Creative Control and Creative Retouch include 15 filter effects and will help turn the most ordinary shots into truly artistic images. 13 of these filter effects can also be applied to panorama shots in Creative Panorama. 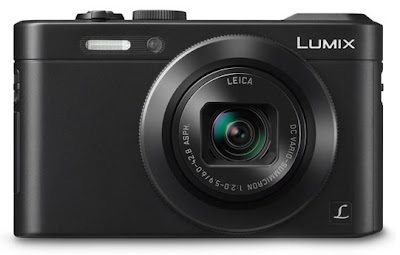 With a combination of NFC and Wi-Fi capability, the LUMIX DMC-LF1 offers unprecedented control, connectivity and ability to share. After a first initial setup, NFC compatibility lets you turn on Wi-Fi with a simple tap of a smartphone or tablet, so no more troublesome menus or setup procedures. Similarly, images and video can be shared between a range connected devices in just moments. With the Panasonic Image App, you can even use your mobile device as a remote controller to view, zoom, set the focus and shoot from distance. Finally, with Easy Share, you can easily upload and share your favourite images and videos to a host of social networking sites, letting you share your latest masterpiece with the world.